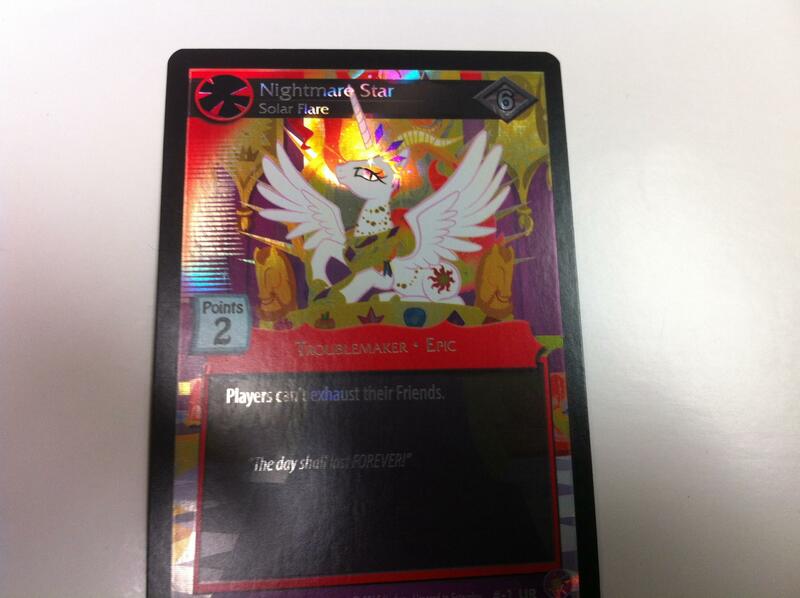 An evil version of Princess Celestia who appeared only in a single card in the Enterplay CCG. We've since seen an actual evil Celestia in the show, Daybreaker, as of S7E10. Please reserve use of this tag for pictures based on the design in the linked card.